In addition to previously posted articles on ensuring .ly stability during the political crisis - http://brief.ly/35h/ - Libyan Spider has posted press-release explaining the situation. With recent events of unrest in Libya, many of our clients and also our partners have reached out to us concerned for our well being and safety. We would like to take this opportunity to personally thank all those who have reached out to us and truly appreciate whole-heartedly for their attention and compassion. We realize and understand the concerns that .ly domain owners might have regarding the future of .ly and whether they are in any danger of malfunctioning. We, at Libyan Spider, felt it was necessary to release a statement to answer and put at ease the worries that you may have regarding your .ly domains. Despite the Internet connection to and from Libya being temporarily suspended, the communication and synchronization between the root servers takes place. Hence, .ly domains will not be affected and will continue to run. For your information, the Internet within the country is fully on. Currently there is no access to nic.ly web site from outside Libya, so if someone needs to change the whois details including name servers, he or she can ask our Libyan Spider staff and we will execute any necessary changes from Tripoli. If your domain names are up for a renewal, you will still receive the notification from the registry, and the renewals are done as usual via your Libyan Spider account. Our servers are hosted outside Libya and hence are accessible from the rest of the world. 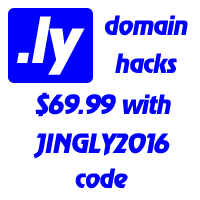 Libyans, including the Libyan government, also use .ly domains. Shutting down .ly zone would not only affect international domain owners, but also the Libyan domain owners including the Libyan government. The only missing bit at the moment is the Internet connection between Libya and the outside world and we are looking forward for it to be restored soon. We hope this answers any raised questions. Should you need any further clarification or help, we will be there for you to help. We thank you for choosing Libyan Spider and appreciate your business. To answer common questions asked by our existing clients during this time. – You can check your WhoIs through http://whois.nic.ly and create a ticket using your account with the changes you require (old DNS and new DNS) and we will make the necessary changes for you. I am a new client, All domains that I am checking show up as unavailable. – The WhoIs server that our system is using is hosted locally and our server is hosted abroad. The two are unable to communicate currently and so we have to do the registrations manually. To register your domain, you must fill out the following form found on this link: https://libyanspider.com/m/register.php to create your account. – After you created your account, you can then submit a ticket requesting to place an order for you. Your ticket should include the domain name you are interested in and the DNS you want to use. – After we have received your ticket, we will place the order and send you the invoice where you can complete the payment. After we have received confirmation of payment, we will register the domain name. I am an existing client and I wish to register a new domain name but it shows as unavailable. – The WhoIs server that our system is using is hosted locally and our server is hosted abroad. The two are unable to communicate currently and so we have to do the registrations manually. To register a domain name, you can submit a ticket requesting to place an order for you. Your ticket should include the domain name you are interested in and the DNS you want to use. How can I check the WhoIs for my .ly domain(s)?